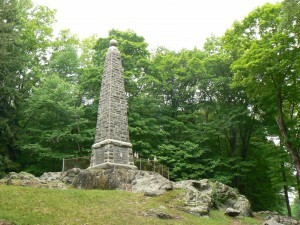 A large obelisk in Putnam Memorial State Park honors American Revolution soldiers who established winter quarters in Redding. 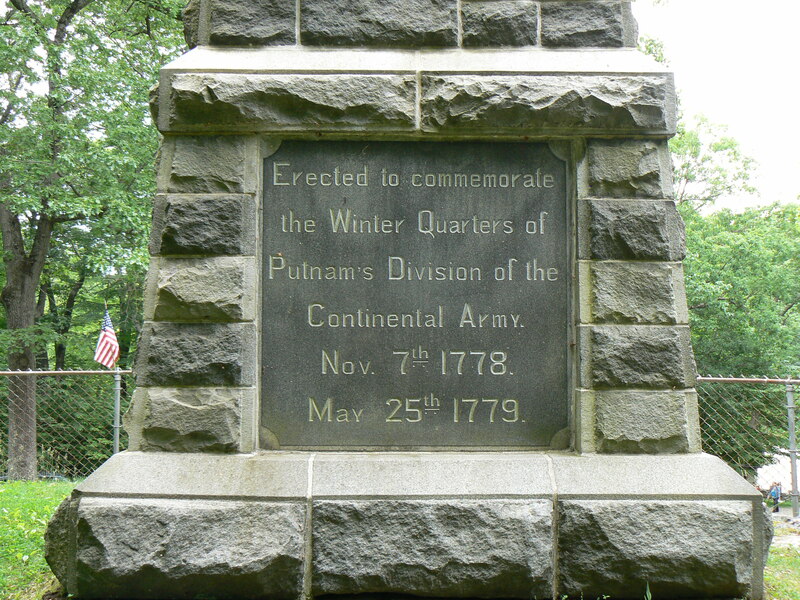 Units under Gen. Israel Putnam spent the winter of 1778-79 at the site, which was chosen to allow the deployment of troops to defend towns in coastal Connecticut, New York City or the Hudson River valley. 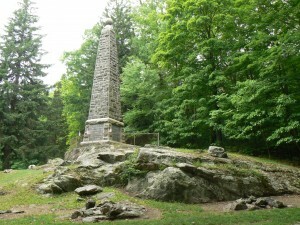 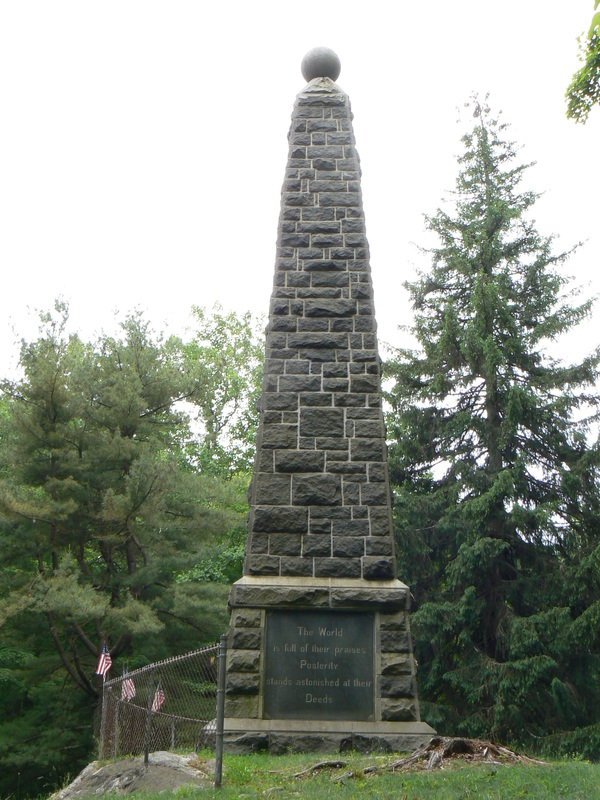 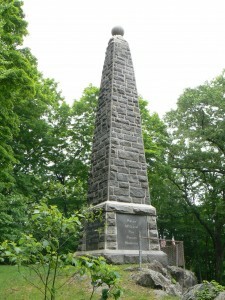 The troops who wintered at the site, which was later nicknamed “Connecticut’s Valley Forge,” are honored with a granite obelisk, dedicated in 1888, that stands near the park’s main entrance at the intersection of Routes 58 and 107. 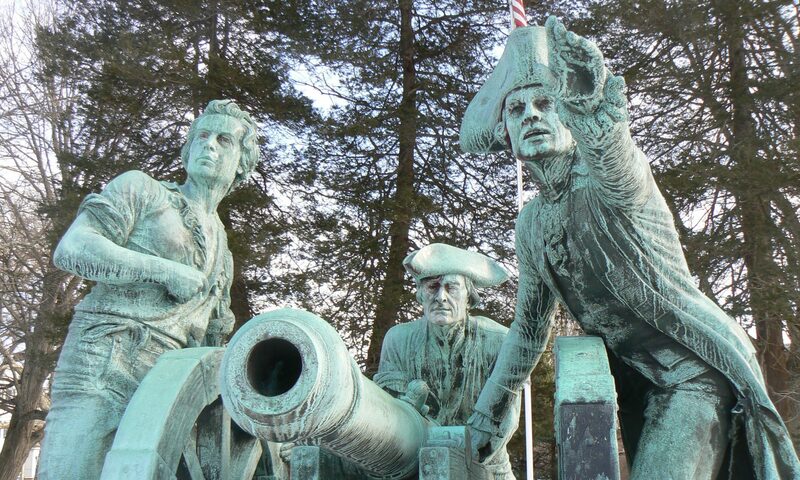 The monument’s south face lists the commanding officers of the winter encampment. 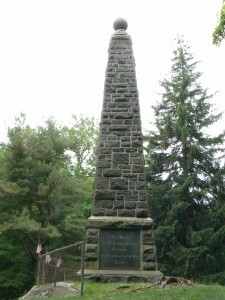 Along with Putnam, the monument lists the surnames of Alexander McDougall, Enoch Poor, Samuel H. Parsons and Samuel Huntington. The site and surrounding park are decorated with a number of Civil War cannons. 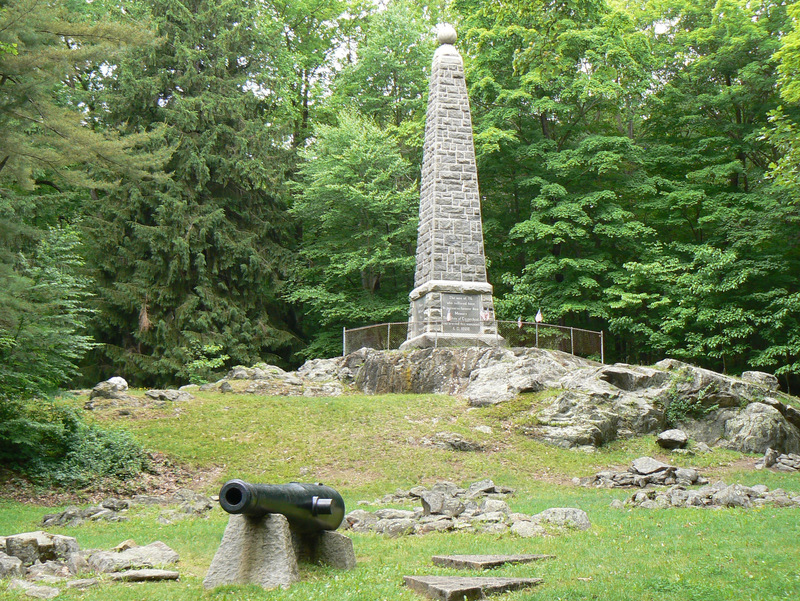 The cannon immediately in front of the obelisk was originally flanked with cannonball pyramids. Putnam Memorial State Park, Connecticut’s first state park, was established in 1887 to honor Putnam and the troops who wintered there. The park also features stone pits marking the location of the troops’ huts, a replica guardhouse and a series of wayside markers explaining park features. 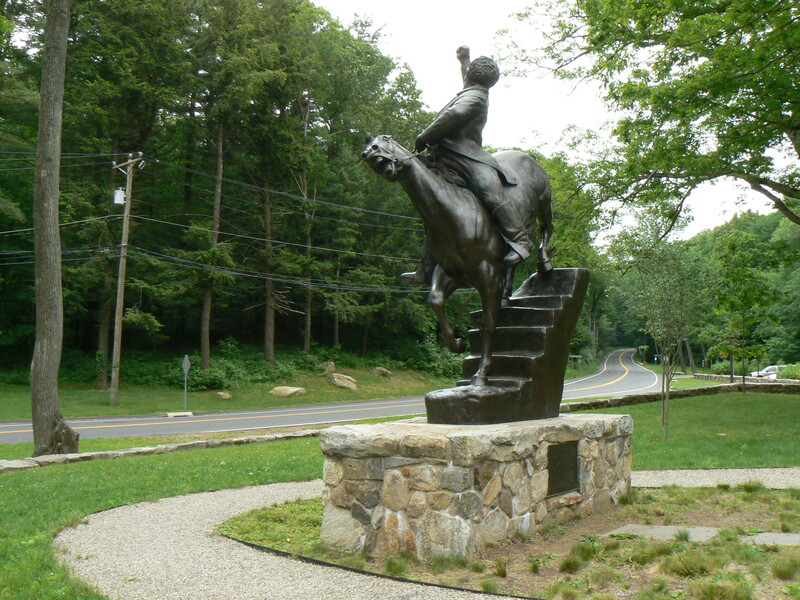 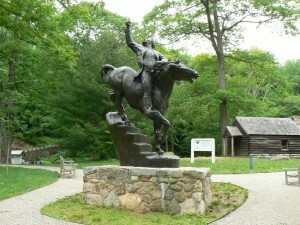 A statue by sculptor Anna Hyatt Huntington depicts Israel Putnam riding a horse down a staircase to escape from British forces in Greenwich.